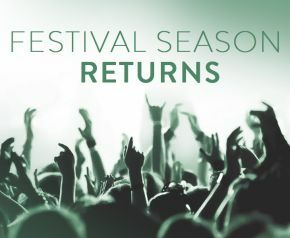 Home | Music | Music Festivals | Festival Season Excitement builds! Festival season excitement is building as line-up announcements are creeping through thick and fast. With the first wave of announcements for the biggest festivals already announced, Purple Revolver give you 5 of the best festivals to get excited for and will help you decide which one is best for you. Stick with Purple Revolver if you’re struggling to decide what to wear, how to travel there, where you’d stay if it was a city festival. All the key questions asked yearly, Purple Revolver will give you the all-important answers for these key questions. We will even answer the important questions of what you can take into the arena space at each festival. Leeds and Reading have hosted many well known names in the past years, with 2017’s festival featuring Eminem and Pink, Bastille, Arctic Monkeys, Metallica and Red Hot Chilli Peppers to name but a few. The Manchester Dance festival returns again this year with an amazing line-up so it’s definitely one not to miss! Even if EDM isn’t for you, this year won’t disappoint you. For a cheap festival in the summer sun, LIMF was sure to make our list! Having previously hosted Jax Jones and Fleur East among other DJs and local artists, LIMF definitely gets the Scousers talking so why not head down and see what all the fuss is about? TRNSMT is back spreading across two weekends hosting a range of artists right across the music industry. If camping isn’t for you then this surely is as it’s in a city! This London dance festival is set to get your inner rave on! From the producer of 2017’s Winter anthem ‘17’ to the ‘Man’s Not Hot’ legend, you’re set to have an amazing time when you’re there! Follow Purple Revolver on our Facebook and Twitter pages to be up-to-date on all the answers to your festivals foes.